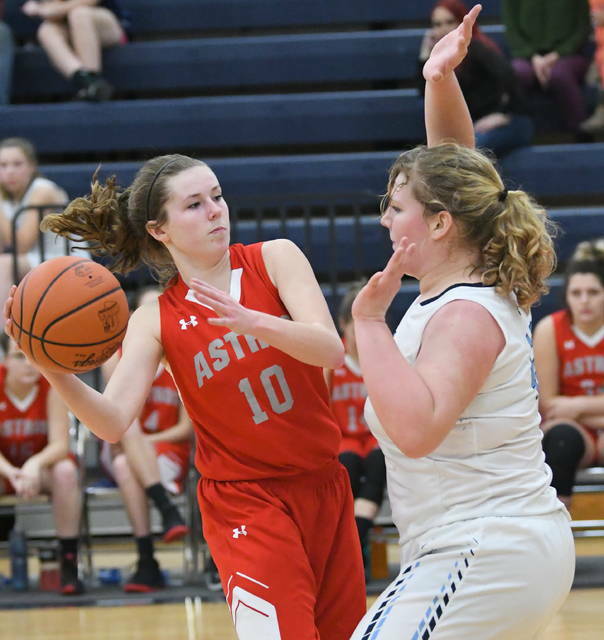 BLANCHESTER — There would be no heartbreak for the East Clinton girls basketball team for a third night in a row. 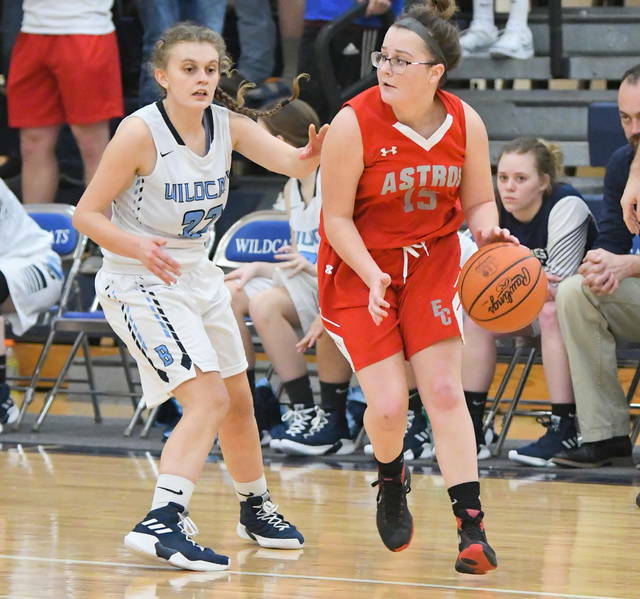 After losing in heartbreaking fashion to Clinton-Massie on Monday and Bethel-Tate on Tuesday, the Astros used solid defense in the fourth quarter to hold off Blanchester 45-36. Blanchester raced out of the gates in a hurry, outscoring East Clinton 10-2 in the first 90 seconds. Following an East Clinton timeout, the Astros closed the quarter with a 10-0 run to take a 12-10 lead after one. The game remained tight into the fourth quarter, with neither team taking more than a four-point lead. Back-to-back pairs of free throws by Blanchester’s Olivia Gundler pulled the Lady Wildcats within two, 36-34, with 3:26 left. Big baskets by Mackenzie Campbell and Kaitlin Durbin pushed the EC lead back to six, 40-34. Campbell fouled out moments later, which could have halted East Clinton’s momentum down the stretch. It was East Clinton’s defense that wouldn’t allow the Wildcats back into the game. Blanchester had just one field goal over the final 7:14 of the game. Lana Roy’s basket pulled Blanchester within five, 41-36, with 23.1 left. Free throws by Miranda Beener and Lacey Peterman iced the game for East Clinton. Campbell tied sophomore Gracie Boggs for high-scoring honors for EC (8-12 overall, 4-7 in SBC National) with 12 points. Craycraft has been impressed with how Boggs and fellow sophomore Katrina Bowman have progressed throughout the year. 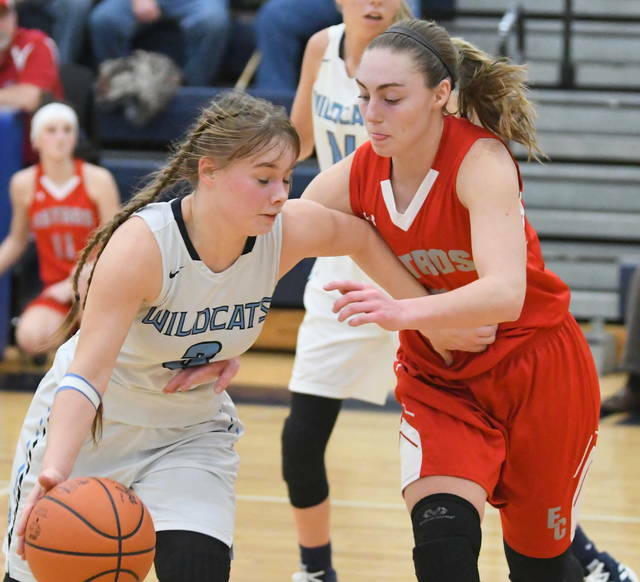 On Blanchester’s senior night, it was East Clinton’s seniors who Craycraft credited with holding off the Wildcats. 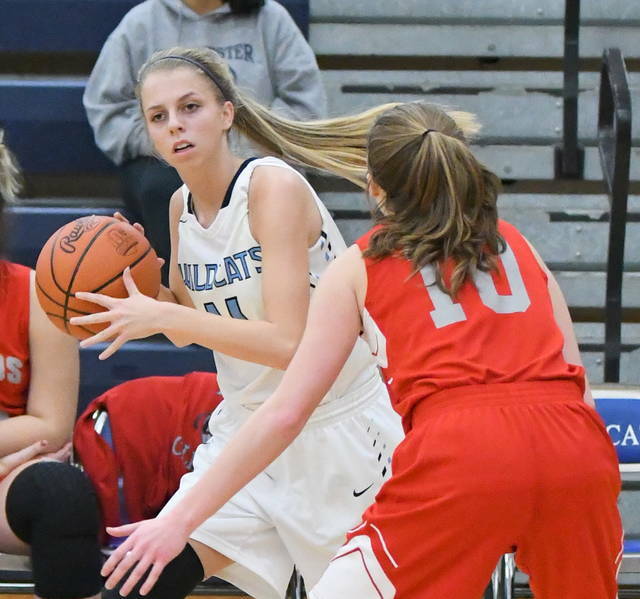 Blanchester (3-15, 2-9) was led by Patton, who scored 15 points and spurred the Lady Wildcats’ fast start. Roy added 10 points. In addition to Patton, Olivia Gundler and Savanna Shank were honored before the game as the three senior members of the Blanchester basketball team. (45) EAST CLINTON (fg-3fg-ft-tp) Mackenzie Campbell 5-1-1-12, Kaitlin Durbin 4-0-1-9, Katrina Bowman 0-0-3-3, Lacey Peterman 0-0-7-7, Miranda Beener 0-0-2-2, Gracie Boggs 3-0-6-12. TOTALS 12-1-20-45. 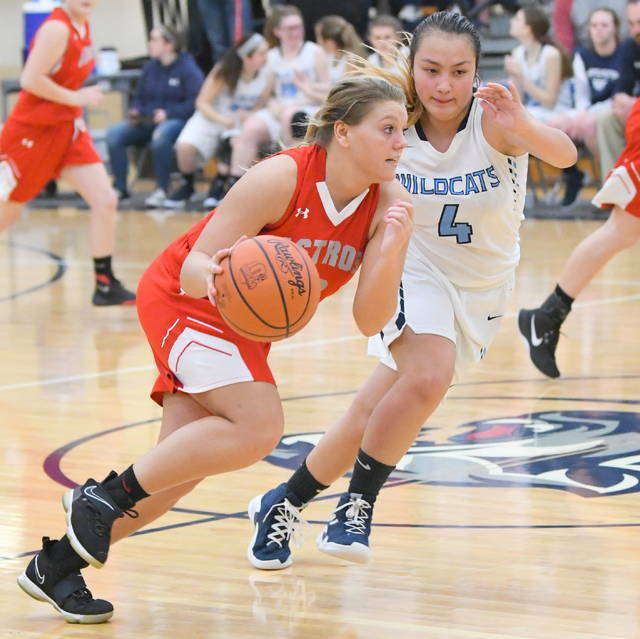 (36) BLANCHESTER (fg-3fg-ft-tp) Elecia Patton 5-4-1-15, Holly Scott 0-0-2-2, Olivia Gundler 0-0-4-4, Lana Roy 5-0-0-10, Savanna Shank 1-0-0-2, Daelyn Staehling 1-0-1-3. TOTALS 12-4-8-36.